After-school programming can and should be much more than an afterthought. This school’s robust and thoughtful program is a powerful differentiator that fosters enrollment growth. A robust extended-day program can be a powerful differentiator in helping families decide where to send their children, particularly if it builds on the school’s academic programming. The author’s research found that most dynamic and profitable programs share four characteristics: a clear understanding of their program’s primary purpose; alignment with the school’s mission; engaging, choice-oriented programming; and a team of passionate and invested individuals. Senior administrators’ public endorsement of the program can help build a shared understanding of, and support from, broader stakeholders in the community. Observation and tracking of students’ interests can help identify popular programming ideas. For many families with school-aged children, after-school programming has become a necessity. Much more than simply a supportive service, these programs can and should be a continuation of the learning that takes place during the school day and a valuable tool for building students’ character and confidence. After-school programs also offer schools the opportunity to enhance their brand, attract and retain families, and generate revenue. 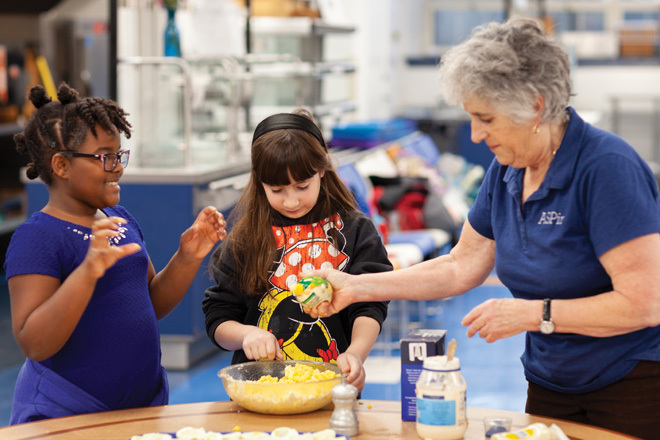 According to the 2018 Auxiliary Services Organization (AUXS) Survey of After School Programming at Independent Schools, enrollment in after-school programs has increased at 60 percent of independent schools since 2008. In many markets, parents are comparing the quality of competing schools’ programming options when assessing educational options for their children. Yet despite these trends, many schools continue to view after-school programs as an ancillary service. This represents a missed opportunity both for the schools and for the students enrolled in their programs. Some schools, however, have altered the lens through which they view their after-school programs. In the spring of 2018, I was granted a six-month leave of absence from my role as director of auxiliary programming at Germantown Friends School (GFS) to pursue my interest in researching the state of after-school programs at independent schools across the United States. My goals were to find ways to improve our program and maximize its impact, identify exceptional program characteristics, and share my findings with other independent schools. Most after-school programs began in the 1980s and 1990s as informal childcare for faculty and staff members, designed to keep children safe while their parents attended meetings or prepared for the next school day. These programs typically followed a similar format: a snack followed by free play and supervised homework. Often, the goal was simply to provide a cozy, home-like environment using the limited resources available. Between 1994 and 2014, the number of women working full-time and part-time increased by 21 percent, according to the Bureau of Labor Statistics. Inflation outpaced wage growth, and not only did more parents join the workforce, but many workers extended their careers to hedge against unreliable retirement income, resulting in fewer grandparents available to provide childcare. Use of after-school programs grew accordingly. At 26 percent of independent schools, more than half of after-school students participate every day, according to the 2018 AUXS Survey of After School Programming at Independent Schools. I believe that every after-school program deserves similar attention. What makes a strong program? How can schools maximize the value of their after-school programs? How can they re-examine and re-imagine those hours to make that time, and their programs, truly exceptional? My research and experience led me to some must-haves. Various factors drive the strategic direction of an after-school program, including school mission and culture, enrollment, curriculum, family structure and income. Given that these drivers can change, it is important to revisit a program’s goals and objectives over time. In the 2018 AUXS survey, however, 55 percent of respondents reported that their schools’ primary stakeholders (program director, senior administration and parents) did not even agree on the program’s primary purpose. This disjunction raises a chicken-and-egg question: Is the lack of alignment a symptom of, or a reason for, the tangential role of most after-school programs? After visiting the websites of over 450 independent schools, I found that information about many programs is difficult to find or, at best, is modest in scope. Typically, the description mentions a nutritious snack, time for unstructured play and homework support. Through education and dialogue, I was able to get senior administrators to endorse the program’s purpose and to communicate that endorsement to the rest of the school. When I was hired at GFS, the school had not defined the primary purpose of its extended-day program. Over time, it became clear that there was an opportunity for our team to more intentionally support the school’s mission and build on its rich academic programming and its commitment to developing confident, action-oriented young people. I also recognized that to bring the program’s primary purpose to life, all stakeholders — including my administrative counterparts, the board, and members of the faculty and staff — needed a shared understanding of its mission and my charge. Through education and dialogue, I was able to get senior administrators to endorse the program’s purpose and to communicate that endorsement to the rest of the school. This process not only strengthened connections to the program across all levels, but it also created a unified foundation for making sound decisions around complex challenges, particularly those related to shared resources including space and staffing. This dialogue has had other benefits as well. For instance, it has provided GFS’s leadership with a sharper understanding of the drivers (and in some cases, the trade-offs) required to sustain and grow our extended-day program. And it has ensured the program’s contribution to the school’s mission and financial well-being. These conversations have been part of an important, ongoing discussion about the school’s strategic direction and how best to create the conditions for a program that is thriving, fun, student-driven and ultimately sustainable. At GFS, identifying and communicating our program’s primary purpose was only the beginning. Bringing this vision to life and aligning it with student needs and the school mission was the next and arguably even more important step. After-school programs are more successful — and draw more administrative support — when they reinforce the school culture and curriculum. At GFS, our pedagogy is based on the Quaker belief that each person has the light of God within. We consider how each element of the school day experience exposes students to personal growth, academic excellence and cultural competence. For example, during the day, GFS offers many student-directed programs at all age levels, from free-flowing computer lab time for our youngest students to a January “J-term” offering a month of mini-course options designed to foster experimentation and investigation. This mission-driven programming is now equally extended into after-school with student-inspired themes and activities, and projects that promote an understanding of and appreciation for each person’s unique interests and abilities. My 2018 six-month leave introduced me to other schools with strong, mission-centric programs. At Providence Day School, in Charlotte, North Carolina, many elements of the extended-day program link directly to the school’s strong emphasis on character education. There is even a dedicated character education coordinator whose job is to design and implement a comprehensive curriculum rooted in character traits, including integrity, respect and responsibility. Consider this: A child enrolled in after-school five days per week from preschool through eighth grade will spend a minimum of 5,400 hours participating in the program, the equivalent of more than four full years of school. With such a significant amount of time at stake, students deserve to spend it engaged in activities that interest and excite them. At GFS, we use weekly themes to reinforce students’ individual interests, offer opportunities to dive deeper into compelling questions, and encourage inquiry and exploration. For example, in response to one child’s fascination with Minecraft, we designed a “maker” program that included visits from the author of a popular book series based on the game, a professional mason who taught students how to lay bricks and pour cement, and a cake decorator who demonstrated how to make frosting flowers. At the start of this school year, a second grader suggested pizza as our first theme. For two weeks, we explored different topics related specifically to pizza, as well as the culture and history of Italy. Throughout the unit, students moved among activity stations. They prepared meatballs and sweet pea crostini, sculpted figures in the style of Giacometti, crafted Roman mosaics, played calcio (soccer) and learned bocce. The finale was a pizza-throwing demonstration, where each student practiced throwing dough and made their own personal pizza crust. Throughout every unit, in turn, staff observe and record students’ interests in a centralized database using Google Forms. Using that information, the team identifies ideas for future themes as well as potential after-school enrichment clubs. 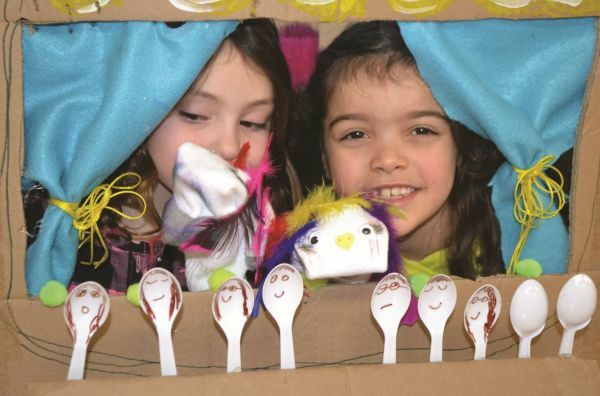 For example, one kindergartener’s interest in puppets led to a week of related projects highlighting puppets including Broadway’s King Kong marionette, Indonesian shadow puppets, Jim Henson’s Muppets, and Shari Lewis and Lambchop. Besides observing students’ interests, we actively invite them to write and post ideas on the “theme board.” At the same time, we encourage kids to break out of their comfort zones and explore new potential interests as well. Students will potentially spend more time with after-school staff than anyone else on campus. 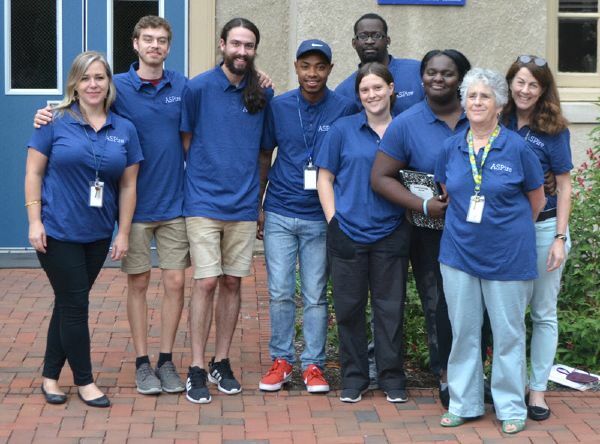 These long-term, trusting relationships are an important benefit of after-school programming, and recognizing these staff members as integral employees of the school will positively impact performance, turnover and overall program quality. Besides hiring enthusiastic and collaborative team members, consider practices that reflect and enhance their value. This may mean designing hybrid roles that offer additional hours and responsibilities during the school day, or providing opportunities for professional growth and training. The Breakwater School, in Portland, Maine, offers another noteworthy staffing model. Nearly every member of the after-school team also works in some ongoing capacity during the school day. In addition, David Sullivan, Breakwater’s head of school, modified the during-the-day specialist teachers’ job descriptions to include also offering after-school enrichment clubs. Quality of care ultimately boils down to the quality of the relationship between the child care provider or teacher and the child. "Neurons to Neighborhoods: The Science of Early Childhood Development"
An additional benefit of hybrid roles is that they help foster a stronger sense of community between after-school staff and all students. “Because of the strong, positive relationships team members have formed with students during the school day, kids who formerly were picked up at dismissal now ask to stay at school because they just want to spend time doing fun things with the team members whom they’ve gotten to know well during the day,” explained Kelly Steinhagen, Breakwater’s director of enrichment and aftercare. It’s worth noting that the program has grown 20 percent a year, on average. Finally, for myself as program director, support from leadership has also gone a long way toward helping our program thrive and grow. Besides being allowed the six-month leave of absence to research and present on after-school-related topics, I have been able to welcome visitors who want to see our program in action. Not only does this make my staff and me feel appreciated, but the students also have enjoyed showing off their work. But the greatest gesture of support is simply the freedom my staff and I have had to design and implement a high-quality, engaging and highly effective program. Because more children are spending more time enrolled in after-school programs, maximizing the quality of that time should be a priority for all schools. The potential benefits of a high-quality extended-day program are likely to be profound and long-lasting both for the children and for the school. 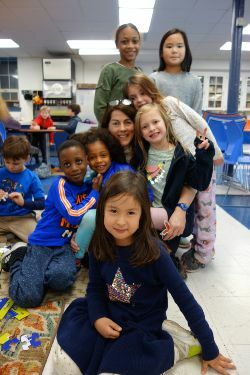 Betsy MacIver Neiva, Ph.D., is director of auxiliary programs at Germantown Friends School in Philadelphia, with 1,020 students from early childhood through grade 12.